The number one overlooked practice that dealerships can do right now to improve sales doesn't have anything to do with employee skill –– it’s all about connectivity. We’re talking about call failure rate from either being missed, left on hold for too long, or an incorrect transfer. It’s when a caller isn't able to be connected to anyone. Lost connectivity is the worst-case scenario when it comes to your dealership phone calls. We know that dealerships are not connecting, on average, 33% of the phone calls coming in. These missed connections mean you're leaving millions of dollars on the table that you could capitalize. You could sell more cars by setting more appointments if the calls don't fail. We call it “act fast” meaning, you need to be on the ball with connectivity. The more calls you connect, the more opportunities you have to turn phone calls into appointments, the more appointments you schedule to show cars, and then, of course, more showings lead to selling more cars. On the flip-side, a practice that dealerships should abandon right away is offlining. Essentially, this is telling a customer that you have to call them back because you can't––or won't–– Sometimes offlining is genuine because the employee doesn't have the information and they need to find it or ask for it. Sometimes it’s a lack of transparency where they just don't want to give the information. Overall, offlining is almost always to see if a car is still available and check on specific features, but the customer experience still suffers. Offlining makes for a terrible caller experience and drastically reduces your ability to reconnect with that caller and eventually set an appointment. Based on data collected from help-performance calls at dealerships, it’s evident that some call practices need finessing. The Fix the Phones Vol. 5 publication, is based on attributes of dealership calls that were successful and is another way to analyze what’s learned on a day-to-day basis by processing millions of phone calls. It takes a deeper dive into these phone calls and shows us what’s working and what’s not. 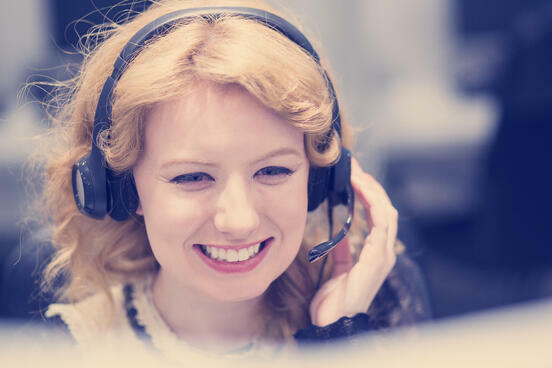 We know there are things that employees are doing on the phones to delay callers and situations that lead to more appointments and create a positive customer-caller sentiment. For example, when a salesperson makes a personal connection, the call is more likely to be successful. You do this by taking an informal, conversational approach so that the call isn’t robotic or about checking boxes. When you do this in the initial introduction, you establish rapport and trust from the very beginning. Another thing we find that makes a great phone call is genuinely caring, honestly anticipating what the caller needs and responding to that. When an employee gives their personal opinion on a question or something that the caller might be undecided on, a particular benefit of the vehicle, for example, the rapport is better. Another way to be proactive is to be specific during the call about next steps. In a sample of calls for the report, a lot of agents said things like “I'll give you a call on X day to make sure like Monday is still good for you.” Calls like this that were proactive and had a good rapport, resulted in setting more appointments. Customer happiness is a cornerstone of the sales process from start to finish. A phone call is often the first personal interaction a customer has with your dealership and setting off on the right foot can make the difference between a won or lost sale. But, what happens if you do lose a sale? When asked about the likelihood a customer with a bad experience will return, it often depends on what happens afterward. There is much truth to the saying “A complaining customer still cares”, meaning there is a reason he or she is telling you about their issues...they want them resolved. Here is an opportunity and an important bit of knowledge for all to know. Studies have shown that they will actually return and do business and have a greater chance of remaining loyal to your business if you fix it for them. Essentially, they want to do business with you, but something or someone got in the way. Resolving complaints, however, is not a natural skill for most as many seek to avoid conflicts by nature. In cases of inexperienced sales personnel, targeted call data in the hands of the dealership can help to secure or retrieve the transaction. While inexperience can contribute to missed opportunities, the good news is many tricks of the trade are easily learned and basic upon truly elementary conversational skills that simply need new light shed upon them. This means that with proper data and attentiveness in your toolbox, basic service skills can greatly increase your chance at a sale. Oftentimes, it’s the little things that can increase sales. With the right approach, this not only helps with current customers but can help spread your word of mouth. Word of mouth is passive marketing, requiring nothing of you once the ripple is set in motion. The right word of mouth, however, can be cultivated with focus and attentiveness. Crucial to sales performance is how your dealership is perceived by the customer. Perception, in many cases, comes down to trust. Does the customer feel like she can trust the salesperson? Does the individual sound friendly? If so, the chances are far greater that the call will end in a successful manner. Oftentimes, outward perception comes down to how engaged and happy employees are. Also, ask yourself whether your sales representatives are wired for this kind of work. Knowing who you are working with can result in an exponential personal and sales growth with proper tools and training, especially if the individual is engaged at work. The happier your employees are at their job, the livelier the call and the better the chances of a successful transaction. One cannot minimize the importance of employee engagement. A caller’s attitude and demeanor will come through in calls, simply put, and customers can sense this. If they are talking to a disengaged service representative, chances are far greater the result will be a lost sale. Want to grow your customer loyalty? Cultivate it from within. A crucial component of your dealership’s success is how effectively your team can navigate customer phone calls. To compete with the boundless competition in the auto sales industry, it’s vital you equip your sales force with the caliber of phone skills expected by the current market. Customers in today’s technologically advanced environment are accustomed to expedient service. With the expansion of online resources, a customer has a lesser degree of patience when seeking information regarding a potential purchase. To prevent the loss of sales to your competition, it is imperative Quality Control Managers can provide a standard of training relevant to a technology-driven atmosphere. Precious time and revenue are at stake if your team members are unable to deliver the appropriate answers to a potential customer’s questions during an initial phone call. The ability to give that reassurance during the first phone call enhances the possibility of converting that caller into a customer. 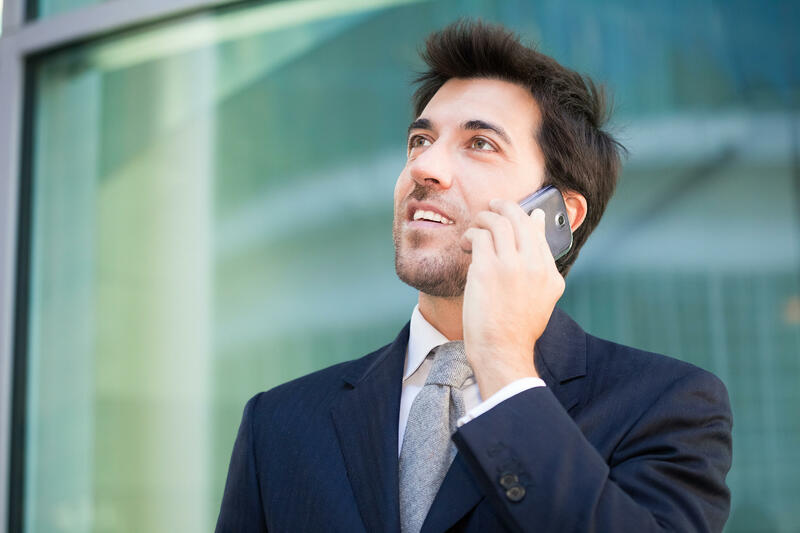 Possessing a friendly demeanor on the phone with prospective clients is beneficial as an auto salesperson. However, combining interpersonal capabilities with call data feedback to continually refine phone skills, maximizes competitive advantage. Tapping into these statistics to gain optimal knowledge regarding best practices is an ideal method for managers to gain insight for team training preparation. Supplying your team with this data enables them to implement self-improvement, increase performance, and gives them a reference point for repeat calls from customers. Integrating customer service call tracking software into your dealership operations is helpful for identifying valuable best practices and ensuring they are being executed. Having the support of a call measurement service allows a level of automation to be instituted in your auto dealership customer experience. The human touch is always relevant but taking advantage of the benefits of software to more easily distinguish focus areas for improvement streamlines the process. Call tracking service data simplifies the identification of best practice behaviors, such as customer contact information collection and appointment setting. It brings awarenesses to whether revenue losses are resulting from a lack of proper phone skills and the inability to adequately address questions from callers. The deeper understanding obtained through this phone measurement process ultimately improves ROI. Utilizing technology designed for the specific needs of auto dealers more effectively strengthens the automotive customer experience. The increased capacity of your team members to confidently recall details from previous customer calls leads to increased sales. Having the availability of data for reference during repeat calls creates a less stressful engagement on the part of the customer. When your salespeople exhibit professional phone skills and exude a full comprehension of the customer’s circumstance, the caller feels appreciated and as though they were fully heard during the prior conversation. This attention to detail is a key factor in the customer experience. A team that is trained to balance interpersonal, phone, and call data analysis expertise will be positioned strategically to contend against auto dealer competition. The insight derived from customer service call tracking aids in developing a guideline for quality assurance measures and devising a training blueprint to ensure best practices are being adhered to. The implementation of this data enables an ongoing refinement of your dealership’s overall workflow and sales growth. Maintaining a system for efficiently managing new and repeat calls will reduce customer service issues, boost profits, and safeguard the success of your auto dealership. Improving your phone skills training for customer service can increase the number of leads that set appointments and purchase from your dealership. Unfortunately, many dealerships struggle to teach their customer service employees how to entice and assure potential customers. Instead of letting sales slip through your fingers, focus on customer service phone skills training that will get the best results. Just a few changes to your approach could bring significantly more buyers to your dealership. Some dealerships use high-pressure sales strategies when they talk to clients on the phone. Even if the client only wants to gather some information, the dealerships encourage their customer service employees to collect information about the person and schedule appointments by utilizing a script. Few consumers respond well to this high-pressure approach. Someone calling to get a price estimate might just want to get a price estimate. Pressuring that person to come to the dealership and test-drive vehicles can make people feel standoffish. Abandon customer service phone scripts, and let your employees have natural conversations with customers. Easygoing conversations tend to put people at ease. Plus, unscripted talking allows your employees to gauge what customers need. Instead of trying to force customers into a position, you build trust with them. A good best practice is to have a guide for customer service representatives for them to utilize when on the phone, but doesn’t give them exact scripts to read. In the long run, making them feel comfortable will lead to more information, appointments, and sales. Without scripts, customer service employees have more opportunities to discover the pain points of people calling the dealership. An employee might learn that the caller has had problems finding a specific vehicle model in the area, or that the caller has noticed an odd noise coming from under a car’s hood. Gently urging callers toward the services that they need gets better results than trying to push them into agreements they don’t want to make. Asking for numbers at the onset of a call has become an increasingly problematic strategy that dealerships need to remove from their customer service phone skills training. With today’s technology, consumers don’t expect dropped calls and you need to build rapport with your customers before asking for their phone number. Some callers may pick up that they are being asked for their number to be placed into your system and it may rub them the wrong way. Build rapport with your customers and start the process of helping them in answering their questions before asking for their personal information. Ultimately, you want callers to schedule appointments at your dealership. After all, you need people at your dealership to make money. Your customer service phone skills training, though, must evolve to meet the expectations of callers. Today’s consumers have different expectations than shoppers from previous decades. Today, they get more information online and they tend to know what they want. A pushy approach, therefore, can make potential customers feel so uncomfortable that they choose a different dealership. Find the communication methods that work best for your employees and customers. If a technique increases your revenue, then you should consider adding it to your training program. When we talk about converting calls into customers, we need to first define what our conversion goal is to determine how to best to approach calls. Conversion goals may vary from one dealership to another, but they’ll always point toward the next step in the sales process. If you’re on the phone with a potential customer, we can say conversion is a commitment by the customer to make an appointment. Ideally, a voluntary choice to make an appointment. This means success isn’t always just a sale. Keep that in mind when thinking of the customer journey and her happiness. A conversion can be when a customer accepts a proposed offer (sale, appointment, trial), but what you ultimately want is for the customer to ask for an appointment herself. To inspire that action, dealership employees need to be welcoming and so helpful that the customer is assured they’ll get what they want in terms of information and service. Above all, the customer is calling because of a need, a question unanswered elsewhere and the goal is to purchase your product, in this case, a quality vehicle. Your customer service representatives are more than salespeople, they’re guides. The customer is already on track toward a goal; you don’t need to force it. They call because of a roadblock, an information block. Your employees need to relate to the customer and eliminate that block. This way, ideally, the product sells itself. Your employees, as guides, can help steer customers toward a goal if she needs that additional help. Always to keep in mind, however, is to listen more than suggest. This way, employees can provide answers and avoid being sales-y. Data shows that when an appointment is suggested by the customer, it tends to be kept more often than not. This is low-hanging fruit and the ideal path of the two conversions. Here you have an appointment the customer is likely to keep because she suggested it herself, knowing her goals and schedule, meaning she will have more ownership of it. Regardless of the type of conversion, success comes down to two key points that work for both. Specificity: When your employees can elicit a definite time versus a “maybe”, chances are the appointment will be kept. For instance: If a customer says “I can probably come in this Saturday afternoon”, you might not see that individual. However, if you can get an “I’ll be in tomorrow at 5:15 after work”, you’ll be likely to see that person. Proximity: In addition to a specific time, the closer you can make that appointment, the better as well. Just like with response times to calls missed, for instance, the sooner you can go from call to meeting, the greater the chances of a sale. The conversion goal in the customer’s mind needs to be kept as fresh as possible. All in all, customer service is about guiding. Success depends on how well you listen and is subjective depending on the customer. Regardless, specificity and timeliness are your friends and should always be focal points in the customer satisfaction process. A crucial thing for someone who's just starting out with handling phone calls is to remember that you only have about seven seconds to make your first impression. The person on the other end of your call will know if you have a positive attitude and if you are there to help them. You should say your first words through smiling lips. Putting the person you speak with at ease is an essential part of the process. You want them to be open to your offer, and whether it's an invitation to visit you in person, a great promotional offer, or you’re calling to thank them for stopping by your dealership, they need to feel like you’re their ally. A professional and proper greeting includes your full name, the name of your dealership, and an offer of assistance. When a customer calls in, it's because they have questions. They may not be able to articulate their needs instantly, so it's important to ask the right question immediately. "Thanks for calling. What information can we get for you?" will start the conversation off right. You are acknowledging that they've spent time researching their options and you are there to fill in the gaps for them. Salespeople have a long-standing reputation to overcome. Begin every conversation with genuine appreciation and an attitude of helpfulness. This allows your customer to feel comfortable. They must think that their salesperson or service advisor is on their team and working toward the same goals. Your only goal should be to help the customer. You can do this by listening more than you talk. Freely ask the questions. Am I answering all of your questions? Is this what you want to accomplish? Do I understand you clearly? Practice asking these questions throughout your conversation to prevent you from making dangerous assumptions that could terminate your relationship with the customer. Customers may not always understand the pathway to figure out which dealership offers the best total package. As a salesperson, you'll spend time trying to figure out how to meet needs that your customer may not be able to explain. When a customer calls your dealership, 71% of the time they’re calling to find out whether a specific vehicle they’re interested in is available for them to put their hands on in-person. So, as a phone handler, you need to make sure that you have that information on-hand when you answer the phone. This is a learned skill, but pursuing additional training and learning on-the-go will help you assemble a toolbox of skills to help you understand and meet your customers' needs. When you are just starting out with phone handling, it can feel intimidating to initiate or take one call after another with strangers. The potential for rejection is so great that you simply must set it aside and proceed toward your goal. If you’re hung up on the possibility of making a mistake or letting an opportunity pass by, don't worry. Move past it as best you can and remember that phone sales are a learned skill that doesn't come naturally to most people. With practice, you'll master these phone sales tips and use them to help you quickly reach your goals. It's important to be able to listen to those calls and determine what departments they were for. Were the calls actually a response to the ad stimulus, or were they just someone who was searching for your number and just happened to find it? One example of that is the website sales line for most dealerships tends to be the top of the page. As a result, human nature says we look at the screen, we see the number at top, and we dial even if we’re looking for service or parts, not sales. With call tracking, when you actually take a moment and listen to these calls, you mind 70 to 80% of them that are coming through are service related. That’s why it’s so important to have the calls routed to the proper place, because you've essentially turned your lead-generating machine inside the dealership into your operator or receptionist, because they’re constantly taking time fielding calls that aren’t sales-related. We want to make sure that the productivity within that department doesn't get compromised as a result of the added call volume that's coming through that's not related to their mission. Call tracking is also critical to providing better customer service because we can better define the customer’s journey. For example, a strong IVR system in which the customer can self-identify themselves by what they’re looking for and be directed to the right person the first time. This is an easy win for your dealership because the lower the effort the customer needs to take their desired action, the better the outcome of the call and the higher your connectivity will be. Too often, dealerships don’t have a clear, optimized path for the customer to take. When the customer has to take extra steps or is being passed around, the rate of them dropping off goes up exponentially. Some of our best dealerships are connecting customers at a 89% to a 92% rate, where we have other stores that are connecting them at a less than 50% rate. If you’re not making it as easy as possible for the customer, they’re going to hang up and go to someone else for help. For any dealership, that’s a worse case scenario. That’s what makes a strong call tracking strategy so important. This can be a catchy subheading if necessary.